I have been lucky all along to have nice gear for any of the sporting sorts of things I wanted to do. Shooting, hunting, hiking, photography, etc. ... I have some pretty decent stuff for these things. 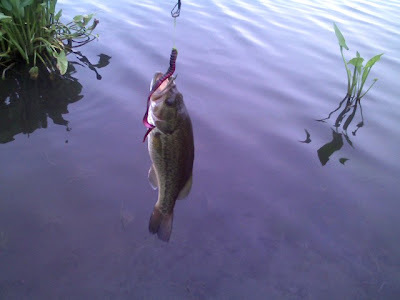 Among these also, though I seldom ever do it anymore, is fishing. I have a one piece Ugly Stick with a Mitchell 310 mounted on it that has handled every bit of fishing I have done for 5 or so years. After my girl came along, fishing just stopped be a priority... until last year. 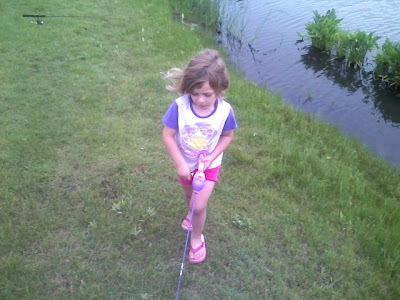 She announced that she wanted to go fishing. "Well now", I thought,"I think we can do that." Today was a good day too. 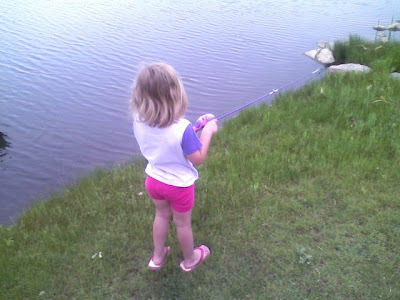 I think I am probably back to no-hook, casting-only fishing with my girl again. Too bad to. That strike and short run were just the sort of fun I needed to break up the days (86 I see by my counter) until the preseason is over and the good stuff starts. It's worth it though. Who among us all has a better fishing buddy than the one who will let us buy her a happy meal after a hard day of fishing and then, let us dress-up the Barbies with her?